Finally I get an IPA for my Christmas calendar! Since it is from Brew Dog it is a pretty damn good one too. Pours a nice semi clear orangish color with a generous white head. Strong hop aroma in the nose, smells nicely of floral spice and citrus. The taste is really great and refreshing. Sweet but subtle malts but the real star is the simcoe. This beer has a huge citrusy orange peel taste with a nice floral note that gives way to a big but smooth bitter finish. I tend to like IPAs with at least two hop varieties, so as to compliment each other, but this one is really well done This has been my most drinkable Christmas beer by far. 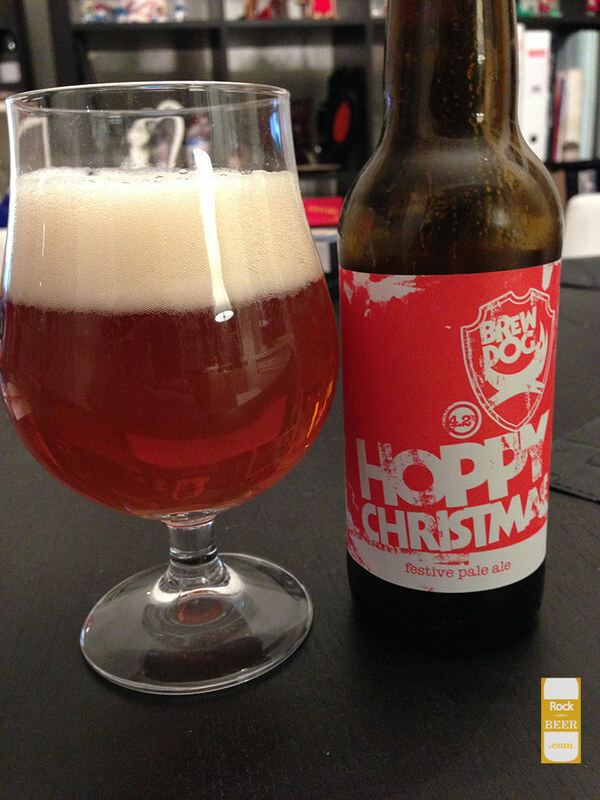 So since this is my one and only Christmas IPA, I wish you a Hoppy Christmas.